Streaming Arena 2 Thursday at 6pm PST! Come watch as I play with myself in the wonderfully challenging and RNG-based Arena 2 at 6pm PST. 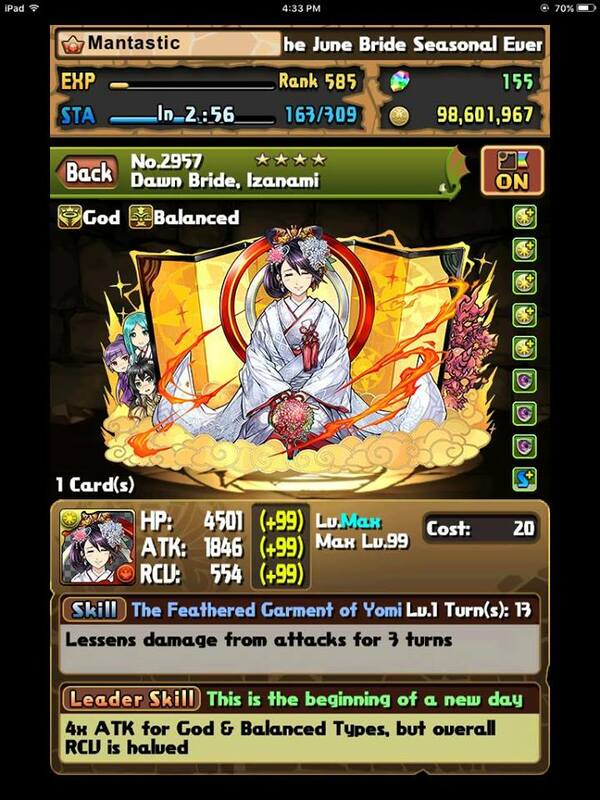 I will continue to pray for no Ilshit Ilsix or Vishnu along with providing narration and strategy for how I go about clearing Arena 2. Hope to see you all there at 6pm PST every Monday and Thursday! 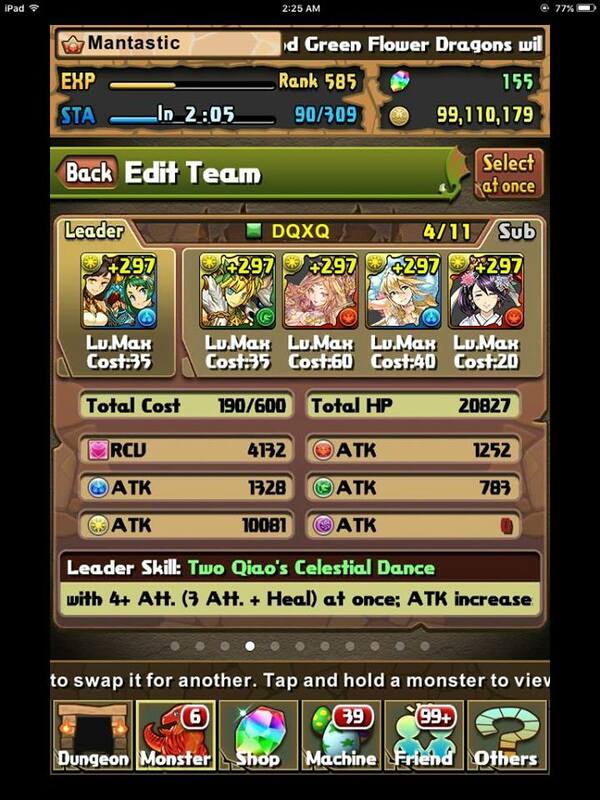 Keeping with the trend of being able to record quality videos, I decided to showcase how I have been farming Mythic Plus Linthia Descended for the Dubmythlits (who never drop in Friday dungeon), 500 Monster Points via the PreDRAs , plus eggs (when 10x), rank experience, and the boss drop, and Linthia . 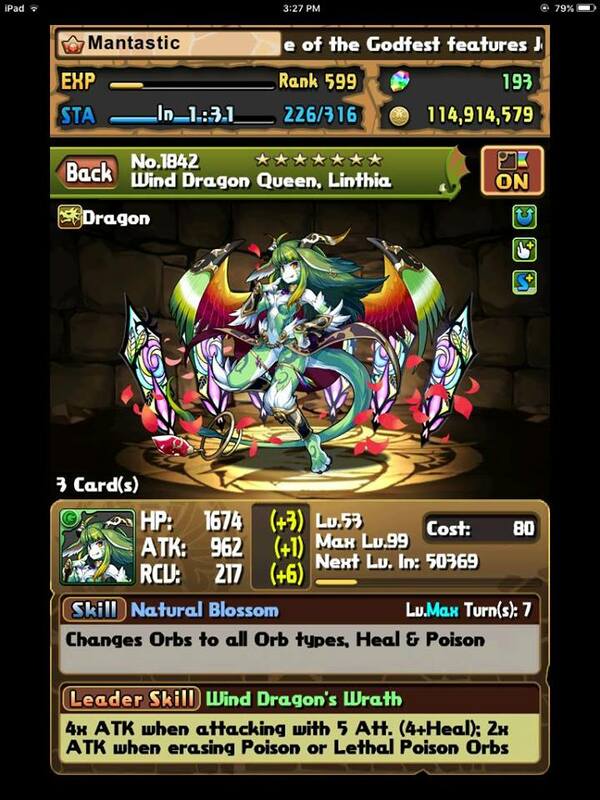 Linthia Descended is normally a challenging encounter as she preemptively disables your awoken skills for 5 turns and hits incredibly hard. I used to farm her with my Blue Sonia team; however, I transitioned over to Awoken DQXQ due to higher damage and no type restriction. Please ignore the brief interruption at the end as my visiting Dad is overzealous and impatient to be let inside…. With any Mythic Plus Rogue Descend, you need to have a reliable way to deal with the PreDRAs and for Linthia, you should bring a delay to help handle the preemptive awakenings bind. For myself, I like to not use my delay on the first turn and instead use a shield/damage mitigation to stall out a few turns to give myself a large room for error in case I do not one shot the final boss. When dealing with the PreDRAs, you should try to have the opposite player sweep the previous floor to ensure the correct player takes their turn to eliminate them without wasting a pass turn. In an ideal world, I would like to use Awoken Apollo to override the wood skyfall, but sometimes it is not always possible. Hopefully this video is informative and provides some inspiration on how to tackle Linthia Descended along with using an Awoken DQXQ team. 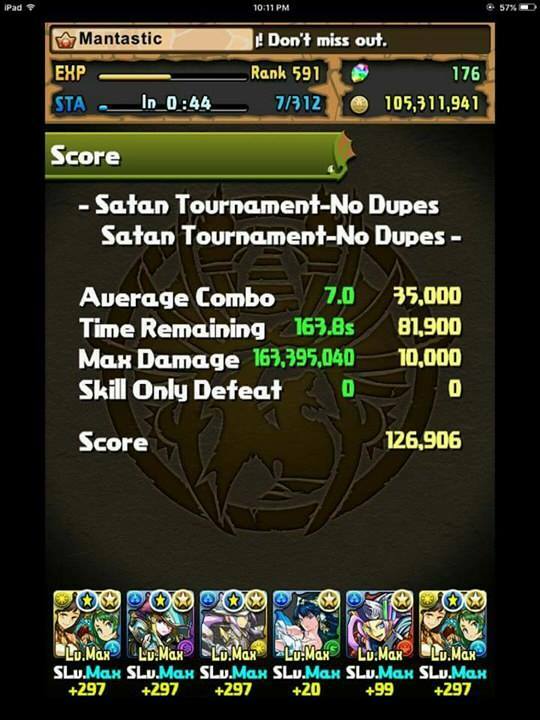 So I stayed up late last night playing the Satan Ranking Tournament using the strategies theory crafted in my Previous Post. If you have not read that already, I strongly encourage you to go through it as it will contain more details and other viable team options. This is my current high score and I will be updating with a new video if I should surpass it. I am in love with the new overlay and let me know what you think of it! It may seem like commonsense, but your time remaining is incredibly important as each second counts for 500 points. If I was able to remove those few brief pauses of hesitation, I could be 2 seconds faster and have 1,000 more points. 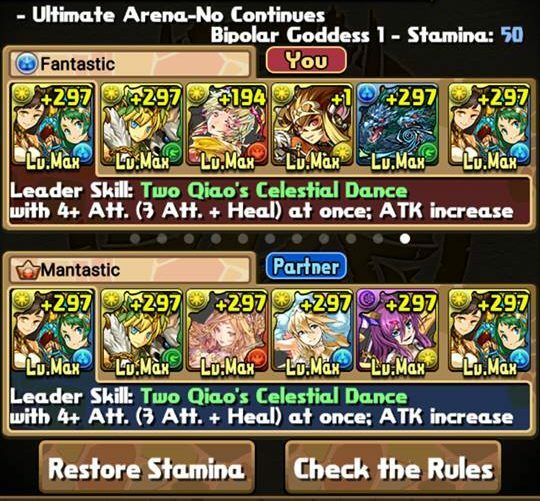 The main drawback of using DQXQ is the acrobatics and extra time required to form a row with 3 other elemental matches. On the bright side, the preemptives give us additional time to plan our movements due to the extra animations. The damage cap for an additional 10,000 points is a total of 40 million. You must try your best to hit that because there will be players who make the same number of average combos and time remaining. Thus, to guarantee your position, you must hit over 40 million. Thankfully, with the skyfall buff and single fire floor, you should be able to easily achieve that. This is perhaps a little nitty-gritty, but when trying to min max your score, you need to save as much time as possible. You ideally want to use as few actives as possible as it only adds extra time. However, if you must use an orb changer, it is better to bring an orb changer instead of a board changer or someone who randomly creates X number of orbs. This is because there will be an element of planning between each floor and you can plan your move when you know exactly where the orbs will be post-active. 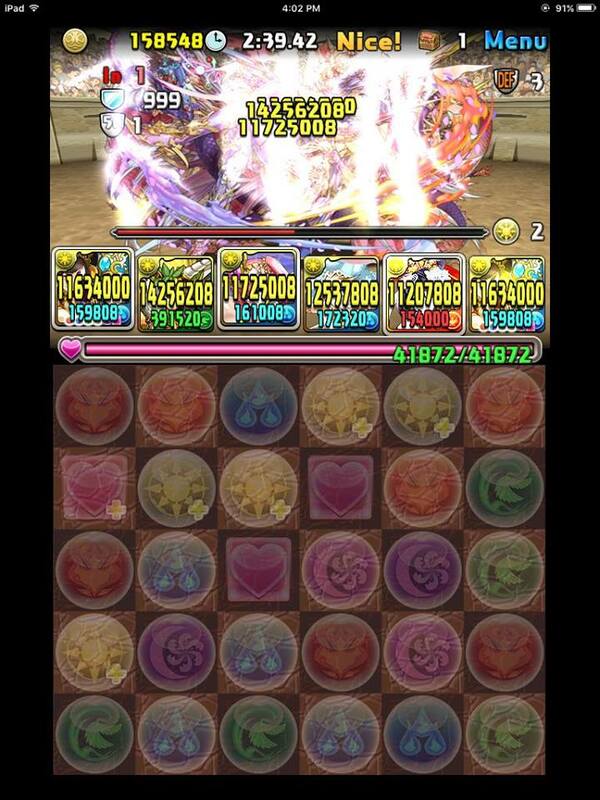 As such, board changers and random orb generators will ruin your planning as the end result cannot be predicted. 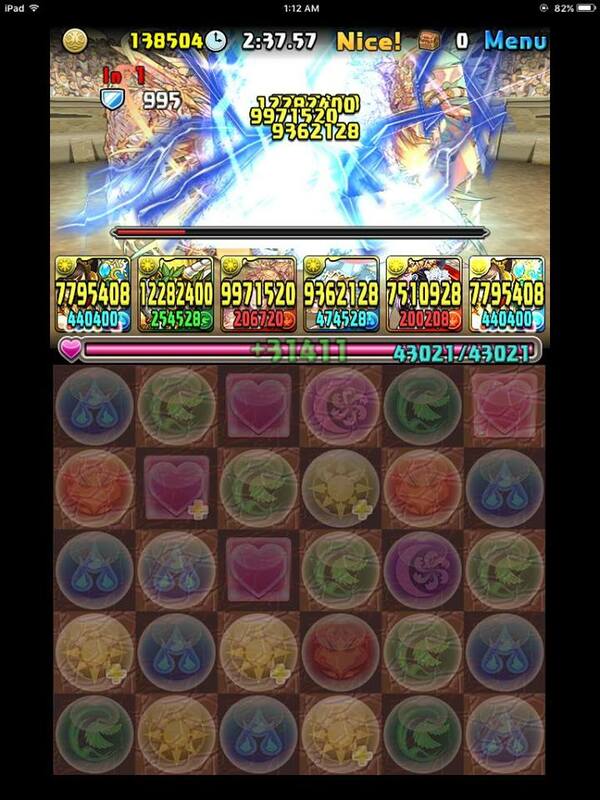 Hopefully this video and subsequent post provides some fresh inspiration for your ranking dungeon endeavors. 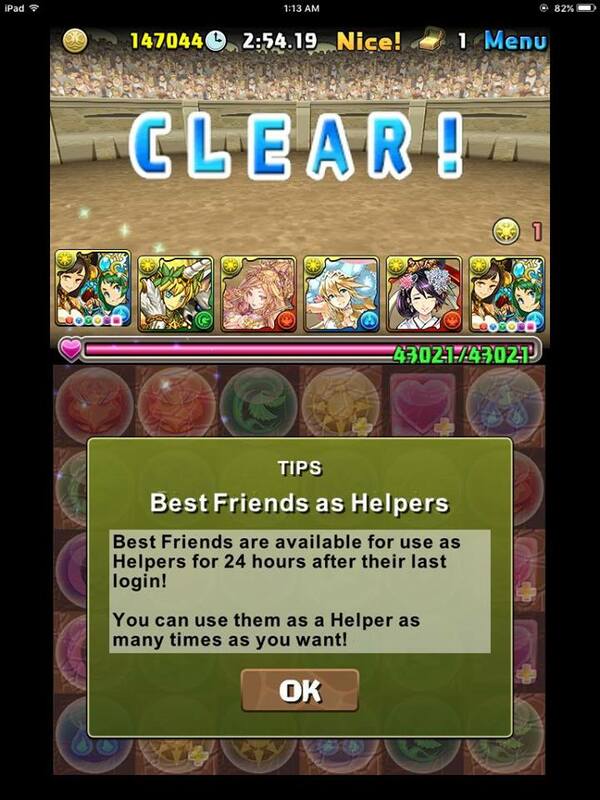 I strongly encourage each and everyone of you to clear the dungeon for the magic stone and participation rewards. I only ask you do not exceed my score as I am so close to hitting the top 1% and my second crown. 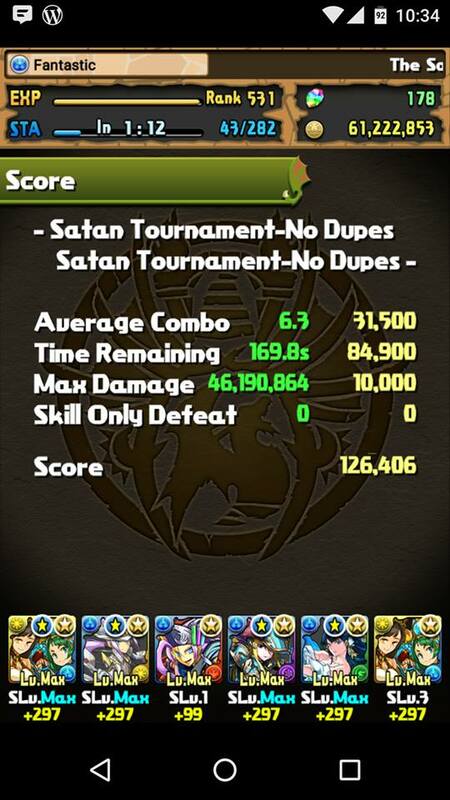 Satan Tournament is the next installment in the ranking dungeon series and offers players a chance to acqurie 10,000 Monster Points and various coloured Py. The goal of these tournaments is to “test” our skill by imposing a scoring system to determine your percentile ranking. 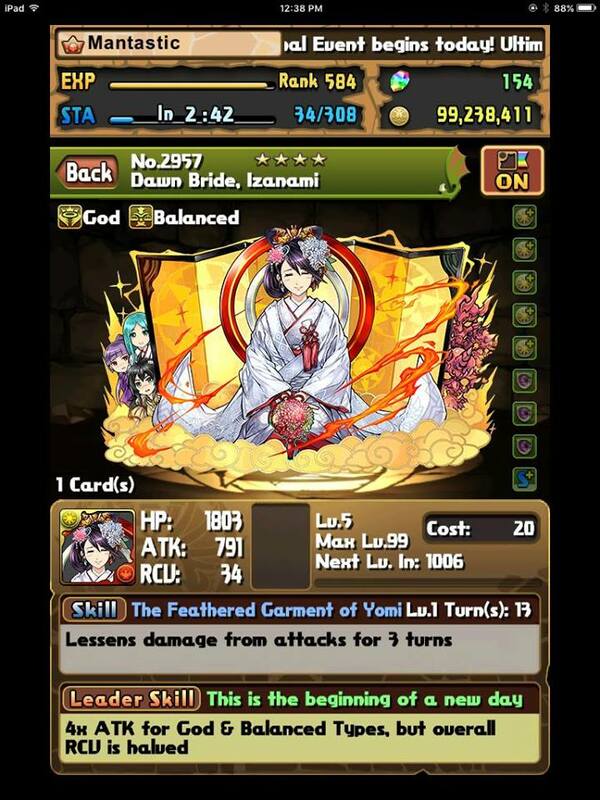 Auto heal awakenings can help alleviate the stress of healing as the damage comes over the course of several floors.